We’re more than just a nursery. 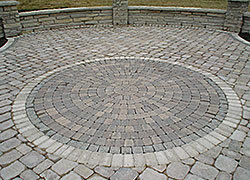 Breezy Hill is one of the largest landscape design, installation and maintenance firms located in the Midwest. Breezy Hill Nursery is a family owned business and treat our clients like family. 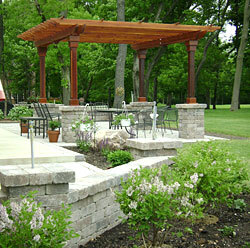 We’re passionate about creating beautiful landscape designs for our clients. It’s why our clients keep coming back. 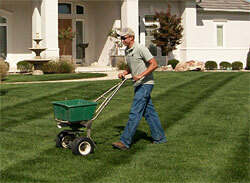 Breezy Hill Landscaping can design lush garden landscapes, or sweet wildflower hill sides. 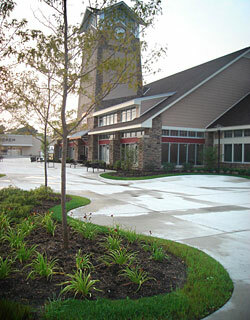 If you want something modern and zen, we can do that too, but landscaping is more than great design. It’s about you. Your lifestyle and how you will use your space. That’s why we take so much care in getting to know you. A rose is a rose, but your home is where you make memories. We design them to be beautiful, just the way you envisioned them. Breezy Hill Landscaping installs state of the art landscape designs for some of the largest construction companies in the country. We grow our own nursery stock to ensure the quality of our product, and now supply leading residential and commercial landscaping companies and nurseries across the country. We like to think it’s old fashioned hard work that made Breezy Hill what it is today, but our clients tell us we’re great to work with and they love our work. We like that too. Even the most avid gardeners will admit to not enjoying a task or two. We see more people passing their least favorite jobs on to us, so they can focus on the gardening tasks they really love. That’s what we’re here for! Breezy Hill Nursery's Landscape Management Department is ready to take care of all your residential and commercial landscaping needs. Our Account Managers will meet with you to develop a customized maintenance program to fit your property and work within your budget. An automatic sprinkler system is a home improvement project that requires a second look. Not only will it help maintain a healthy and beautiful landscape, but it’s the most convenient and efficient way to ensure your landscape gets the water it needs without over or under watering. 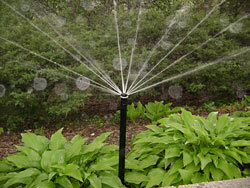 When it’s properly installed and maintained, an irrigation system can help conserve water too! Having a Breezy Hill irrigation professional design and install your system will ensure your investment is designed and installed properly. 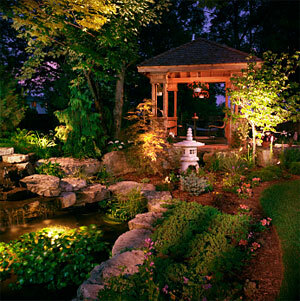 Great landscape lighting is designed to complement your outdoor setting and the mood you want to create. Our designers have created country charm with winding paths, butterfly gardens and gazebos. We’ve styled sophisticated urban landscapes with infinity pools and dramatic focal points. Your own landscape lighting design may include lit pathways, a deck or patio or maybe a pool or water feature. No matter what your style, lighting is the perfect medium of creative expression to set your home apart. Explore the possibilities of low voltage lighting design and bring a little magic to your home each night. Contact us for more information. Sure we do full-scale landscaping projects, but we do everything in between, too! We meet lots of people who’ve just bought a home and want to do a little project here or there, some people take one job on at a time. Let the experience construction staff at Breezy Hill Nursery take care of your landscaping projects to create that perfect outdoor living space that you will love.